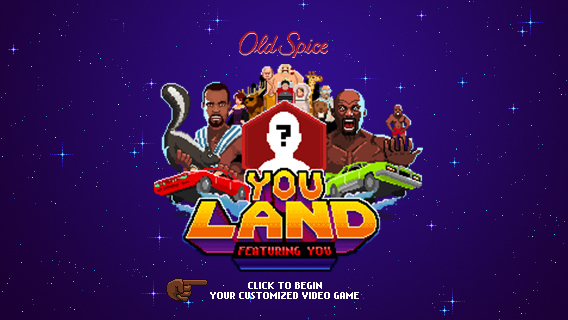 It’s called Old Spice ​​Youland​ , and it’s an original video game ​customized for every single person that plays it. By connecting to Facebook Connect, your face gets video game-ized​, making you the hero of ​three totally different games, each with their own mechanics and story lines, pretty much guarantee​ing​ that Old Spice Youland is the best game about you that’s ever been made. The game features new Hardest Working Collection and cameos from Terry Crews and Isaiah Mustafa. Your friends become your allies and enemies. Even your location, age, interests, and workplace change aspect​s​ of the game to make it completely unique for you. 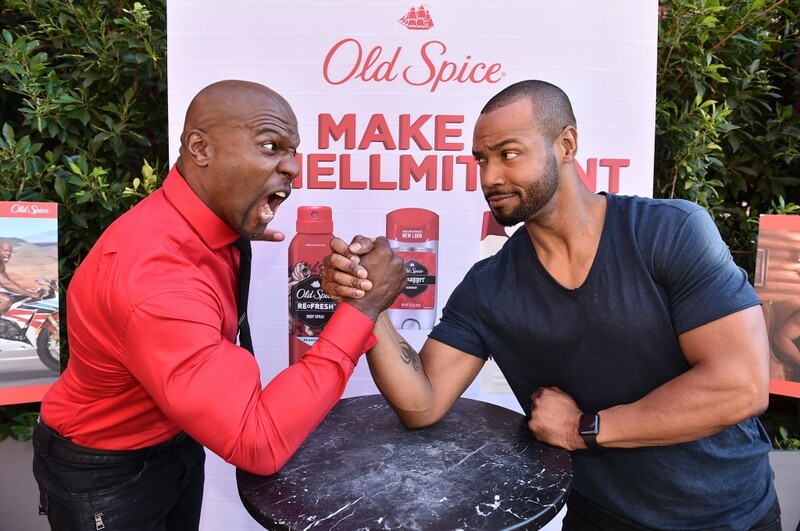 Old Spice Guy Isaiah Mustafa is more than a pretty face with a a tightly toned torso and a voice like butter. At one point, he was a actually a real dude — just like you. After running track in high school, Mustafa decided to try football and ultimately walked-on at Arizona State University as a wide receiver. He played in the 1997 Rose Bowl and caught passes from quarterback Jake “The Snake” Plummer. Post graduation in 1997, Mustafa played on the practice squads for the Tennessee Oilers, Oakland Raiders, Cleveland Browns, Seattle Seahawks and even played a season in NFL Europe for the Barcelona Dragons. After football and prior to landing the “Old Spice Guy” gig, Mustafa owned and operated a restaurant in L.A., won $47,000 on game show The Weakest Link, and landed acting roles for shows on NBC, ABC, USA Network and The CW. 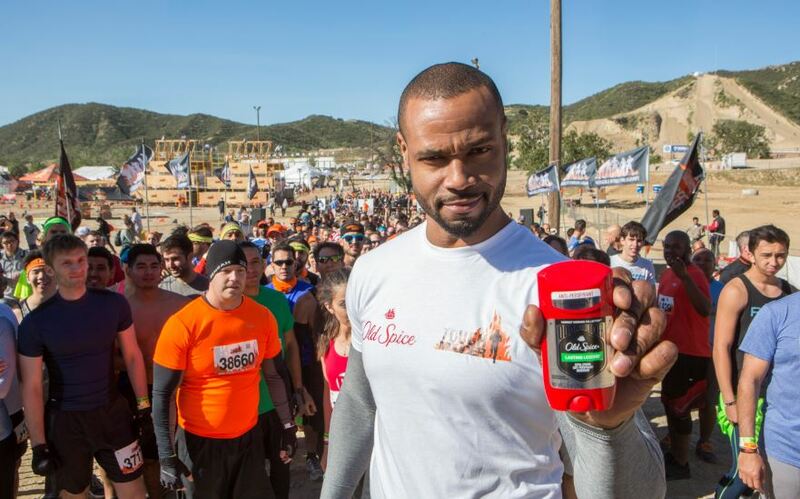 We spoke to Isaiah just prior to the kickoff of Old Spice’s year-long partnership with Tough Mudder at Glen Helen Raceway in San Bernardino, where he and thousands of athletes took on a grueling 10+ mile obstacle course. “I workout every day and each day I do a specific muscle. I like to lift weights whenever I can, but if I can’t do that I have a workout system devised by Ross Dickerson who I follow on Instagram. It’s some plyometrics, but really a mix of a lot of things. I also play ice hockey five nights a week, so that is where I get my cardio. 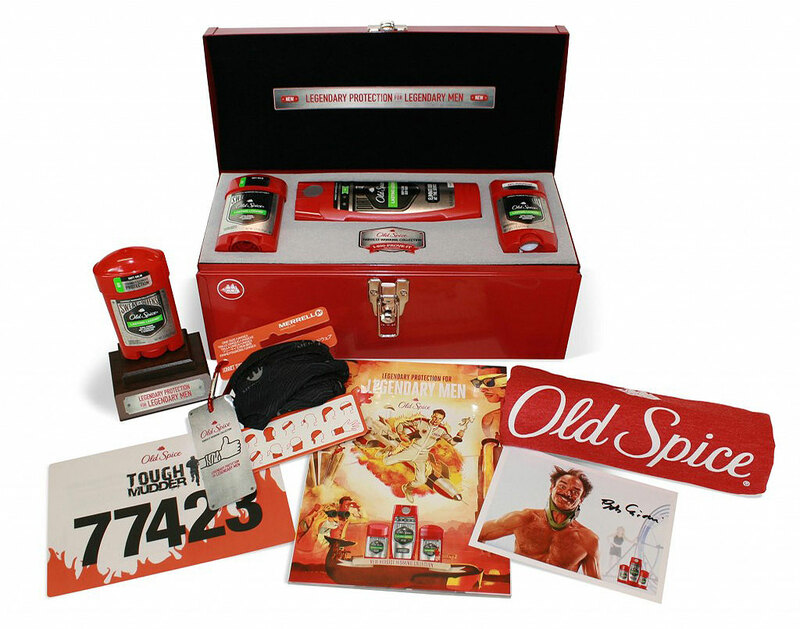 We’ve partnered with Old Spice to give you a chance to win your own Hardest Working toolkit, featuring a collection of scents so powerful, so masculine, we almost didn’t want to share it with you! The giveaway ends on April 20th, so don’t waste another second and enter today! We spoke to Terry and Isaiah about getting over fears of smellmitment, picking up hot babes and their journey to Old Spice pitchmen. Bullz-Eye: Terry and Isaiah, I feel like I am in an Old Spice sandwich! Isaiah Mustafa: Is that good or bad? BE: We’ll see! So far, so good though. Are you guys sitting there with your shirts off right now? Because every time I see you on TV, you are both shirtless. Isaiah: No, not this time. Terry Crews: I am completely shirtless underneath my clothes right now! The Old Spice Robot burst onto the scene by expounding on the benefits of using Old Spice deodorant, body wash and shampoo together in the Old Spice “Smell Like a Man from Head to Toes” campaign. Yesterday, Old Spice launched a brand new weekly sports internet talk show called “4th and Touchdown,” in which the Old Spice robot discusses an array of topics with some of the NFL’s most dynamic stars. The online series launched yesterday with New Orleans Saints Quarterback Drew Brees in the chair opposite the Robot, answering some truly absurd and amazing questions only a mandroid could love.